Many travelers who plan to use Texas 130 between Austin and San Antonio are hailing the new 85 mph speed limit that makes the 41-mile stretch of toll road the fastest highway in the nation. San Antonio personal injury attorneys urge a healthy dose of caution. While we understand the move by the Texas Transportation Commission may ultimately bolster the argument for increasing speeds on Texas’ vast stretches of highway, we also know all too well the role speed frequently plays in serious or fatal accidents. The Express-News reports the soon-to-be-opened toll road runs from just south of Austin to Interstate 10 in Seguin. The speed limit on the existing toll road is 80 mph. The new 85 mph limit will be the fastest in the country and has been making news nationwide. Not everyone is pleased. Groups like the Insurance Institute for Highway Safety and the Governors Highway Safety Association are concerned increased speed will lead to more frequent and more serious accidents. “When you increase speed limits, you have an increase in the severity of injuries,” Lee Friedman, a professor at the University of Illinois at Chicago, told The Wall Street Journal. He noted many Texans will exceed the new limit by 5 or 10 mph, putting the average speed at more than 90 mph — or faster than the average speeds on the famed German autobahns. “The research is clear that when speed limits go up, fatalities go up,” said Russ Rader, a spokesman for the Insurance Institute for Highway Safety. The National Highway Traffic Safety Administration’s 2011 Speeding Attitudes and Behaviors Survey found speed-related crashes, which include driving too fast for conditions, claim more than 13,000 lives each year at a cost of $40 billion. 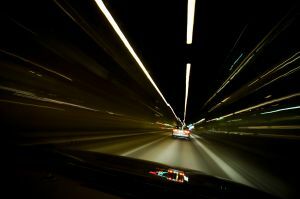 In fact, speed joins drunk driving as the top two causes for fatal accidents nationwide. Texas reports more than 1,400 speed-related deaths each year, second only to California. Of course, it takes longer for a driver to react at higher speeds, which can make it more difficult to avoid an accident. Higher speeds make it harder to steer around objects in the road. And it takes longer to stop. It also increases the distance a vehicle travels before a driver can react to a dangerous situation. But physics is the primary reason why speed kills.The force of impact doubles for every 10 mph increase in speed over 50 mph. Statistics show that fatal crashes increased by more than 20 percent when the United States began raising highway speeds from 55 to 65 mph after Congress repealed the National Maximum Speed Limit in 1995. For most of us, driving at highway speeds is the most dangerous part of our day. Increased speeds will make safe driving habits even more important. -Do obey the speed limit – and that includes making adjustments for weather, visibility or other driving conditions. -Pay particular attention around large trucks. -Move over for stopped emergency vehicles on the shoulder of the road. -Give yourself frequent rest breaks. If you’ve been injured in an accident, contact the San Antonio injury attorneys at The Herrera Law Firm, Inc at 800-455-1054 for a confidential consultation. A series of deadly San Antonio tractor-trailer accidents has authorities preaching caution. The Express-News reports the Tilden community — a once quiet community in McMullen County 60 miles South of San Antonio, has seen a rash of recent commercial trucking accidents. The risk for these accidents will continue to increase with economic recovery. More than a dozen counties have seen drastic increases in traffic with the Eagle Ford Shale energy boom — and with it an increase in the number of serious and fatal trucking accidents. Truckers ignoring signs in construction zones and defective headlights are top causes for accidents, according to state statistics. Make no mistake about it: These trucking companies and commercial drivers have an obligation to protect the public. 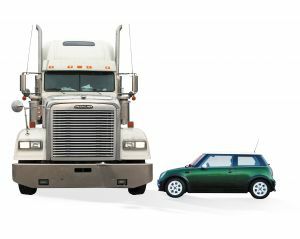 A passenger car doesn’t stand a chance against an 80,000 pound tractor-trailer. Such accidents are often fatal and almost always injure or kill the occupants on an involved passenger vehicle. In 2010, more than 3,600 people were killed and 80,000 injured in accidents with large commercial vehicles, according to the National Highway Traffic Safety Administration. The 377 fatal trucking accidents in the Lone Star State make Texas by far the deadliest state in the nation for such accidents. California was a distant second with 239 deadly accidents involving commercial trucks. -Maintain a safe following distance. -Never cross behind a truck backing up. -Don’t try to squeeze between a truck and a curb. Trucks make wide turns and can trap a passenger vehicle. -Use caution when passing a truck – don’t move back into your lane until you can see the truck driver in your rearview mirror. -Use caution in a truck’s blind spots — including behind and alongside the trailer and directly in front of the cab. Trucking accidents are complex cases. Determining the cause of the accident and identifying those responsible are critical when seeking compensation for medical bills, lost wages, pain and suffering and other damages. Responsible parties may include the truck driver, trucking company, maintenance contractors, freight owner and even the manufacturer of the tractor-trailer. Trucking companies carry substantial liability insurance policies, typically in the amount of $2 million or more. So failure to make a proper claim against all of the parties responsible for your accident can be detrimental to your case. Understanding the various state and federal regulations governing truck drivers and trucking companies is also critical to building a case capable of winning the compensation you deserve. 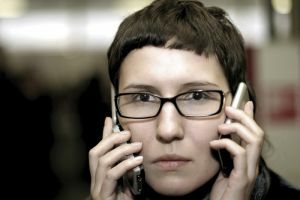 Federal text-messaging and cell-phone bans for commercial drivers may be key to proving negligence in a distracted driving accident, for instance, despite the fact that using an electronic device behind the wheel might not be illegal for most motorists under Texas law. Hours-of-service regulations may also play an important role in determining whether a truck driver was negligent in causing an accident. If you’ve been injured in an accident, contact The Herrera Law Firm, Inc at 800-455-1054 for a confidential consultation. Maybe you are just a bad driver. We know. You don’t think so. It’s the other guy. The speeder. The distracted driver. The old driver. The young driver. The tourist. The motorcyclist. The crazy cyclist. When it comes to car accidents in San Antonio, there are a lot of crazies out there. You’re just not one of them. Even if you do occasionally travel in the left lane with your blinker on, while sending a quick text message. San Antonio wrongful death attorneys understand the role distraction plays in car accidents. Certainly, the advent of the cell phone has been no boon to driver safety. But we are not surprised by a new report in Science Magazine, which essentially found that a good driver is not made by taking a cell phone away from a bad driver. It’s an important point — particularly given the fact that Texas lawmakers have steadfastly resisted distracted driving legislation, which would criminalize some forms of distracted driving, including text messaging or using a hand-held cell phone behind the wheel. According to the Insurance Institute for Highway Safety, Texas is one of a dwindling number of states that has done little to legislate the issue. We have a text-messaging ban for young drivers, but continue to permit adult motorists to use electronic devices while driving. Still, despite the fact that 10 states have banned all drivers from using hand-held cell phones and 32 states have banned texting behind the wheel, researchers are finding scant evidence that such efforts are reducing the number of serious or fatal accidents. Moreover, the number of fall traffic accidents nationwide has declined throughout the economic downturn, even as the popularity of the smartphone has put one in nearly every hand. Now, findings published in the August issue of Accident Analysis & Prevention suggest drivers prone to using a cell phone behind the wheel may not be much safety without it. Researchers at Massachusetts Institute of Technology in Cambridge report cell phone-using drivers are also more likely to speed, change lanes excessively, and tromp on the gas or brake more frequently. More than 100 drivers were split into two groups — those who reported using cell phones regularly while driving and those who reported rarely doing so — and sent up I-93 north of Boston on a 40-minute drive monitored by a Volvo SUV outfitted with video cameras, skin monitors and other recording devices. While drivers were not given a cell phone, those who reported they were more likely to use one while driving were also more likely to engage in other dangerous driving behaviors. Those drivers also were more likely to have a history of driving infractions. The results jibe with the Traffic Safety Culture Index, a report conducted each year by the AAA Foundation for Traffic Safety, which looks at driver attitudes as they relate to various driving issues, including drinking and driving, cell phone use and text messaging, speeding, red-light running, drowsy driving and seat belt use. That report continues to show far too many drivers admit to engaging in dangerous driving behaviors, despite being concerned about the same behavior in other drivers. “This ‘do as I say, not as I do’ attitude that persists among drivers needs to change before we can experience a traffic safety culture where safe driving is the key,” said Foundation President Peter Kissinger. A San Antonio school bus driver can claim to be the nation’s best. Michael Castaneda earned second place at an International bus driving competition. The event was won by a Canadian, making Castaneda the top finisher in the United States. He once again starts the school year this month as a bus driver for North East Independent School District here in San Antonio. He’s up at 5 a.m. and averages 100 miles a day. The bus’ seven mirrors help him to see around fenders and tires; making sure children are clear before leaving each stop is critical. San Antonio personal injury attorneys understand motorists often grow frustrated with the return of the big yellow buses to our roads each year. And the risks for pedestrian accidents and bicycle accident increase, particularly in residential neighborhoods, near bus stops and around schools. But when it comes to school bus accidents, the majority of the risk occurs as students are boarding or deboarding the bus. The National Highway Traffic Safety Administration reports school bus accidents most often seriously injure or kill young pedestrians. Two-thirds of those are struck by the bus. Nearly half of such victims are 5 to 7 years old. It’s another reason why the law requires motorists to stop when approaching a school bus displaying red flashing lights. This signals the bus is loading or unloading passengers. Motorists should watch for children crossing the streets around the bus, and for those who may be running to catch the bus. The Texas Department of Public Safety warns motorists of fines of up to $1,000 for a first offense. A six-month suspension of your driver’s license is possible for a repeat offense. 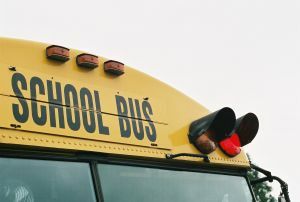 Using extra caution around school buses can also keep a motorist out of a traffic accident in San Antonio, where motorists fare particularly poorly when a school bus is involved. The U.S. Department of Transportation reports that most people killed (72 percent) in accidents with school buses are the occupants of passenger vehicles. “It takes us maybe five times more space to stop than you do,” Castaneda said. Please do your part as the school year gets under way, and help us keep our children safe as they return to class. -Parents: Talk to your child about the importance of safety around the school bus, and when traveling through neighborhoods. Make sure they understand pedestrian and bicycle safety measures, know what to do if approached by a stranger, and can tell an adult how to contact you in case of emergency. -Children: Leave in plenty of time to arrive at the bus stop 5 minutes early. Use crosswalks and sidewalks. Never board the bus until the driver signals you to do so. Never attempt to retrieve an item dropped beneath the bus. Don’t engage in horseplay on the bus or at the bus stop. -Teen Drivers: Pay extra attention around schools, in school zones and when traveling through residential neighborhoods. Make sure you arrive at school safely. Limit distractions. Understand your chances for an accident increase dramatically with each young passenger in your vehicle. Understand the requirements to stop for a school bus that is loading or unloading passengers, unless separated by a divided highway. Motorists: Please obey the law and exercise a little patience. Use extra caution around schools, bus stops and in residential neighborhoods, particularly in the early morning and afternoon hours. More than two-thirds of all fatal school bus accidents occur from 7-9 a.m. and 3-5 p.m.
San Antonio can claim nation’s best school bus driver, WOAI.com, Aug. 22, 2012.